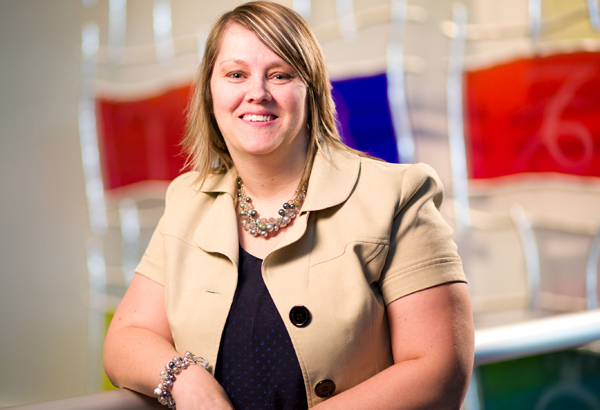 Shawna Roach has always enjoyed the benefits that come with Akron Children’s family-centered philosophy for both patients and employees. She was a single mom when she began her career here as a medical assistant 15 years ago. Having the flexibility to adjust her schedule so she didn’t miss school programs and sports was important, as was the support she got from co-workers and bosses when one of her daughters won the Soap Box Derby and was flown to New York City to appear on television. Shawna is also thankful for the tuition assistance program that enabled her to finish her degree, all while working full-time, remarrying and adding to her family. She now works as a physician recruiter, convincing world-class physicians to become part of the Akron Children’s Hospital family. Little did she know, the very doctors that Shawna helped recruit would one day be treating her daughter, Mackenzie, for a brain tumor. It all began with a strange beeping in Mackenzie’s ear. 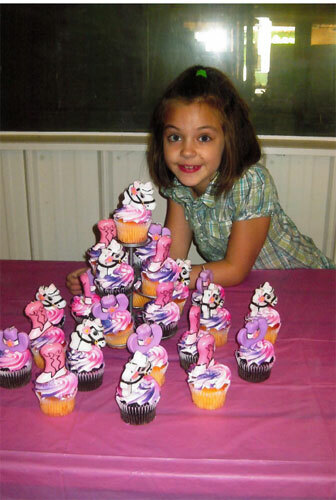 There were no developmental problems and Mackenzie, a normal, active child, had virtually no other symptoms. After numerous doctor visits and much persistence on Mackenzie’s part, she underwent a CT scan, and the day after Mackenzie’s 8th birthday, she was diagnosed with a benign brain tumor. 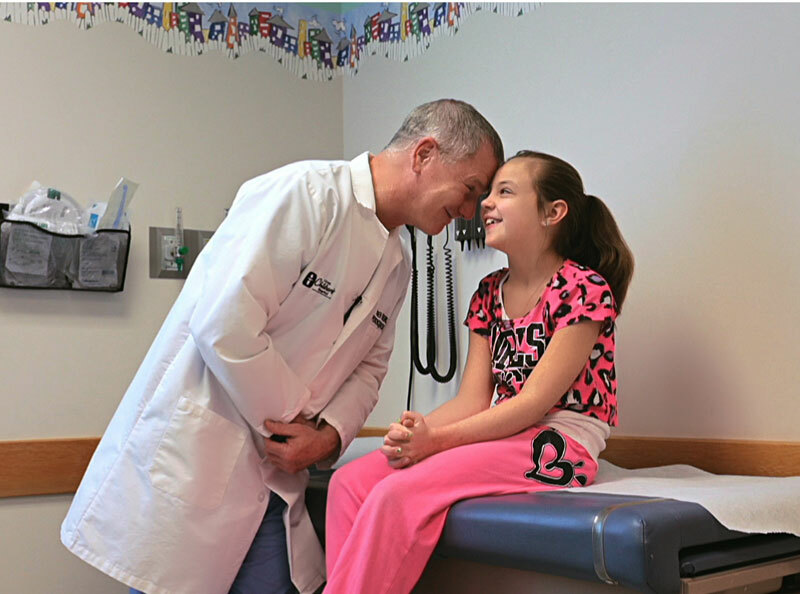 Surgery was scheduled and Mackenzie’s long journey at Akron Children’s Hospital was underway. Starting with the child life specialist who explained the brain tumor and surgery in terms an 8 year old could understand, everyone went above and beyond to treat Mackenzie as they would their own. For 3 days following her successful surgery, Mackenzie was in critical condition, which began her long road to recovery. Mackenzie was much like a newborn and had to relearn everything, including holding her head up, eating, walking, even potty training. For 43 days, she couldn’t talk, but her doctors, nurses, therapists and other caregivers found ways to communicate and connect with her. Throughout her 120-day hospital stay, Mackenzie was surrounded not only by her loving and supportive parents and sisters, family and friends, but she also had many new friends. Her doctors, nurses, therapists, 4-legged friends from the Doggie Brigade, craft and cookie cart volunteers and support staff created a nurturing, healing environment in which Mackenzie loved being a part. Mackenzie is happily in school, getting back to normal and still working on her fine motor skills with a therapist. She often asks to come to work with Shawna to see all her friends. When Shawna speaks about what the hospital means to her, she does so with tears in her eyes. Akron Children’s Hospital is launching the “My Promise. My Children’s.” employee campaign to raise money in support of the hospital’s $200 million “Building on the Promise” campus expansion project. As part of the campaign, several employees have stepped forward to share their own experiences at Akron Children’s as a parent and a colleague.